Belle maison, bonnes prestations, grand jardin. Notre séjour avait mal commencé, visiblement le propriétaire de la maison avait oublié notre arrivée!!! Nous avons dû attendre plusieurs heures avant de récupérer les clés. Il a tout fait ensuite pour se rattraper (geste commercial). Ce petit désagrément a été vite oublié tant notre séjour fût agréable. Nous avons particulièrement aimé l’ambiance au coin du feu et l’emplacement. Nous recommandons chaudement cette maison. We stayed here for a week with our 2 children. They had a fantastic time playing on the swings/trampoline in the garden. The house is spacious and very well heated, in a very quiet residential area. Within walking distance of the village which has supermarkets/nice food shops & restaurants, plus parking everywhere. Muriel was on hand to help out when we needed her, and everything went smoothly. 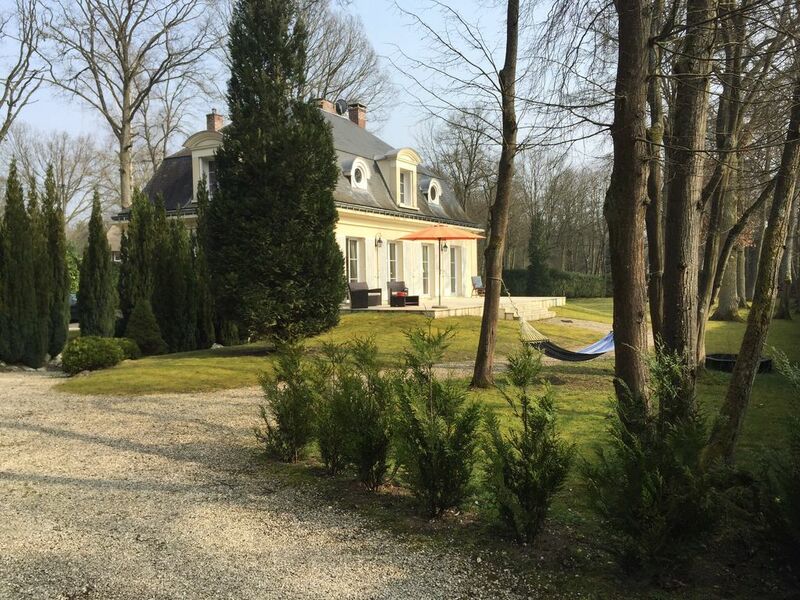 We have spent the Christmas period with our entire family in this splendid villa in Lamorlaye. It was truly a wonderful and memorable experience. We highly recommend it! The luxurious house is in a very quiet and exclusive area, is beautifully decorated and spacious and has a large garden which the children enjoyed very much. We found great joy in visiting several times the nearby Chateau of Chantilly with its splendid collection of paintings and horse museum. We also found excellent restaurants in the area as well as grocery shopping just a few minutes drive away. Getting to Paris is possible either by train or driving ca. 45 minutes so we had both the attractions and museums of the capital as well as the peace and quiet of our beautiful holiday home. As good as it gets! Nous avons passé un excellent séjour dans cette belle demeure idéalement située ( pres de Paris). La maison est très spacieuse, les enfants ont pu jouer dans le grand jardin sans inquiétude car il est bien clôturé !! C'est un endroit calme et reposant . Beaucoup de choses sont à voir et à faire dans les alentours!!!! Not far from the Chantilly Castle and 40 km from Paris, a haven for relaxation.